Hello People, Intel CEO announced Intel Studios. Intel jumping from chip makers to building home for 3D content Creation at Las Vegas. Brian Krzanich (CEO, Intel) spoke at a keynote speech at the Consumer Electronics Show (CES) in Las Vegas that the Intel Studios will be dedicated for production of virtual reality (VR) and augmented reality (AR) content. 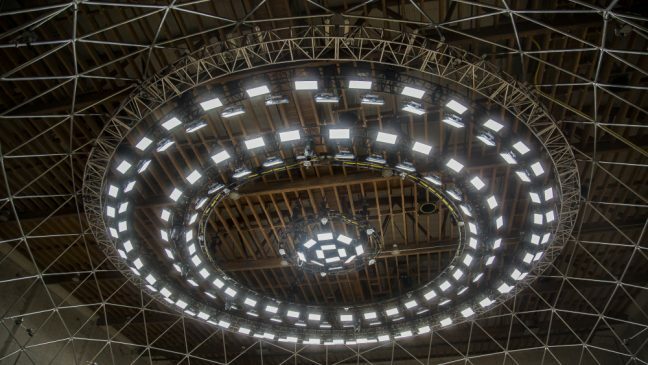 Intel Studios will be in dome-shaped, 10,000-square foot volumetric video capture stage and it will be the world’s largest said by Mr. Krzanich. The dome is outfitted with 100 high quality cameras which are designed to capture objects in 3D, producing content for movies and VR and AR applications. It is located near LAX Airport. Intel’s 3D content capturing technology is developed by its subsidiary Replay Technologies Inc. Intel acquired the Replay in 2016 for around $175 million following a 3-year partnership. “Data is going to redefine how we create experiences for all audiences in the future. That is why we built Intel Studios, which is the most advanced data-driven content creation studios,” Mr. Krzanich said.